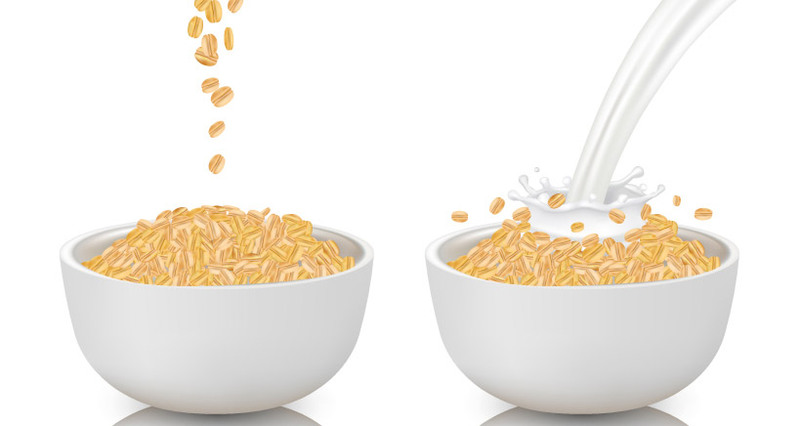 Feature the goodness of oat milk in your recipes to create a boon for your business. So, what makes oat milk such a standout? What is so special about this beguiling beverage that quarterly industry reports dub as “the non-dairy cream of the crop” and news headlines read: “Oat Milk is Poised to Take Over the U.S.“? 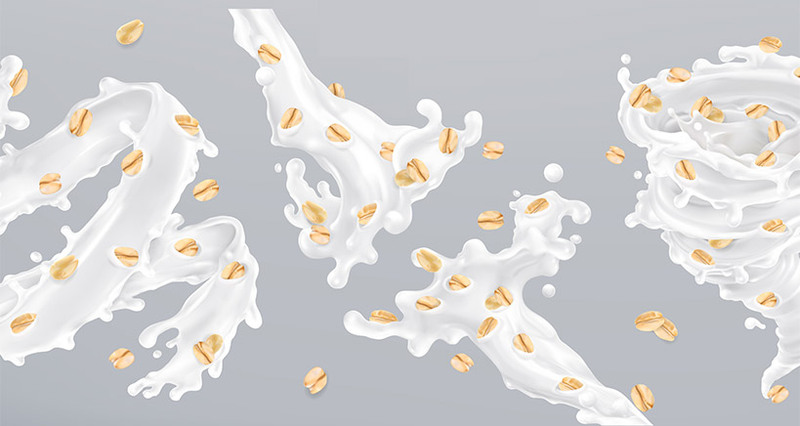 To help you understand why consumers are thirstier than ever for oat milk and why your business should rise to the occasion, read on. First, here is a list of the unprecedented number of plant-based milk varieties available today! They include: soy, coconut, peanut, cashew, macadamia, rice, flax, pea, walnut, hazelnut – and oats. Oats are naturally gluten-free, lactose-free, soy free, nut-free, GMO-free, and vegan, making them ideal for people with allergies or other dietary restrictions. Oat milk’s nutritional profile is equally as impressive, with one cup boasting 10% of the required daily intake of iron. This is especially good news for vegetarians and vegans whose plant-based diet typically lacks essential iron and vitamin B12, putting them at heightened risk for conditions such as anemia. Just one or more daily servings of oat milk can help prevent anemia and promote healthy red blood cell production. But that’s not all oat beverages have to offer. Adding to their formidable pedigree, oats are also known to be ‘heart healthy‘ due to a special type of soluble fiber they contain called beta-glucan. This gives oats powerful cholesterol-lowering properties, as indicated in research studies published in the Annals of Nutrition & Metabolism, showing that drinking oat milk for just four weeks is effective in reducing cholesterol levels in healthy subjects, including ‘bad’ or LDL cholesterol. Oats also contain a higher-than-average amount of dietary fiber compared to other grains, an important factor in stabilizing blood glucose levels. Finally, ‘adding icing to the cake,’ oat milk has fast become a crowd favorite due to its delicious flavor, thick, creamy texture, and inexpensive price tag. 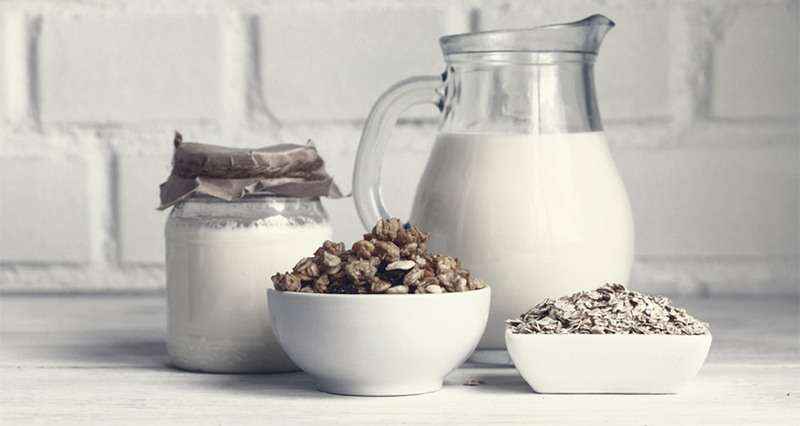 Commercial oat milk is typically enriched with vitamin D and calcium, two important ingredients in promoting good bone health and lowering the risk of osteoporosis. In addition to vitamin D, many commercial oat milks contain vitamin A, helping boost immune cell function and helping the body ward off infection and illness. 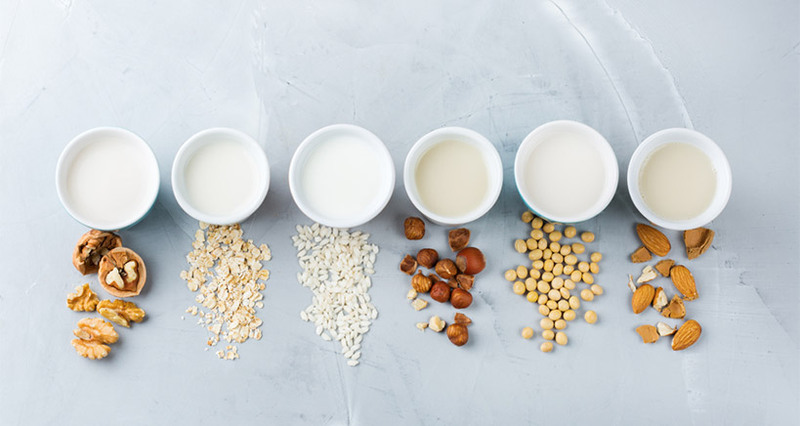 Attention all chefs: Here’s the best part of adding oat milk recipes to your repertoire, not only is oat milk simple to prepare, but once the basics are mastered you can go all out by adding your own signature flavor, texture, and innovative ingredients. It’s a great opportunity to make this beverage a coveted crowd pleaser and to add another crown to your chef’s hat. To make oat milk, use a blender to mix one cup of soaked rolled oats with three cups of water. Next, pour the liquid through a cheese cloth and extract the milk. Finally, have a culinary field day by adding in vanilla, cinnamon, raisons, dates, or any other sweetener or ingredient of your choice to enhance the flavor. Alternatively, in response to growing demand, you can purchase premade oat milk at many supermarkets and health food stores. These milks have the benefit of being enriched with micronutrients such as vitamin A, vitamin D, calcium, and riboflavin. And here’s another tasty tidbit about oat milk: Since its texture is similar to cow’s milk, you can easily use it as a substitute in both cooking and baking recipes. Finally, for a new but sure-fire way to satisfy your customers’ chocolate cravings – to warm the hearts and stomachs of hot cocoa lovers everywhere – add a helping of cacao powder to your basic oat milk recipe to create a creamy, dreamy version of traditional chocolate milk or hot chocolate. And here’s another little-known food fact: Oat milk first debuted in coffeehouses as a new barista blend after being introduced into the U.S. market by the Swedish oat milk company Oatly. Boasting a froth that foams like traditional dairy and which works well in coffees, it made a splash in specialty coffee shops which began to feature it in new brews and blends such as oat milk latte, oat milk espresso, and more. As explained by barista Alex Shein (of the Bluestone Lane coffee shop in Washington, D.C.): Coffee brewers like it because it’s easy to work with and more robust than soy or almond. At the same time, it does not overpower the flavor in the original beverage or curdle as some other plant-based milks do. Champion Coffee company owner Talitha Whidbee predicts the future inclusion of oats in yogurts, ice creams, smoothies, and other desserts. This New York-based company currently offers all the above, as well as a spreadable oat cheese, oat crème fraiche, and ‘granola milk cortado’ comprised of oat milk steeped with granola flavors. Naturally sweet oat milk is delicious over cereal or granola, yummy in shakes and smoothies, perfect in baked goods, and super smooth as a coffee creamer. Cost effective and easy to make at home, it has become a popular ‘do-it-yourself’ beverage that can be prepared in a matter of minutes. The only equipment and ingredients needed are a blender, a strainer or cheese cloth to separate the pulp from the liquid, rolled oats, and water. Begin with the following basic oat milk recipe, then customize and spice to your liking. And here’s a friendly FYI: Oat milk freezes well for one month and keeps for five days in the refrigerator. Although the market for traditional dairy is still going strong, the recent explosion of plant-based alternatives is giving it a run for its money. Oat milk is creating a boon for businesses that want to cash in on the opportunity to service the unprecedented demand for non-dairy, gluten-free, vegan beverages. Feature oat milk in your eatery and enjoy the sweet taste and smell of success.